Submit your ministry web page updates, meeting or event information for publication on our website to: LDonaldson@olghelotes.org. Updates are made weekly in the order that they are received. Thank You for purchasing ad space in our bulletin via our bulletin printing company: Trinity Publications! Your ad helps completely offset our church’s weekly bulletin printing costs and we are tremendously grateful! 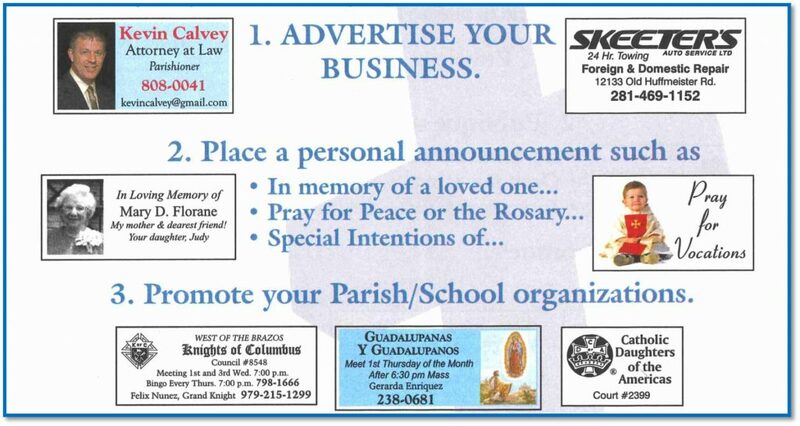 Our bulletin sponsors are listed in the back pages of the bulletin, and highlighted on the Discover Mass website. Just CLICK on “SUPPORTERS” when you get to the page. Before “letting your fingers do the walking’ through the yellow pages, newspapers, etc., please reach out to our bulletin sponsors who appreciate your patronage. Be sure to mention that you saw their ad in our bulletin. Even better, carry our bulletin with you so they can how well their bulletin sponsorship is working. 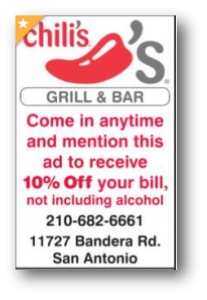 Bulletin Sponsor of the Month!